The health benefits of exercise are almost too numerous to list: Experts say that regular physical activity can have a positive effect on health conditions ranging from depression to diabetes. But it’s essential to talk to your doctor you begin exercising, want to take your current routine to the next level, or want to start a different activity. If you have a chronic condition, you also need to talk to your physician about what’s safe and what’s not. Other conditions that make it imperative to talk to your doctor before exercising include obesity, excess weight, hypertension, and high cholesterol. Any exercise recommendation from your physician will be based on your health history, the Go4Life experts say, including any recent surgeries or chronic conditions such as arthritis, diabetes or heart disease. The experts also suggest that you tell your doctor about any symptoms you’ve been having, including chest pain or pressure, joint pain, dizziness or shortness of breath. He or she may tell you to put off exercising until those symptoms are diagnosed. Even if you don’t have any symptoms, your doctor might order a screening test, such as osteoporosis for women 65 and older. The strength of your bones may affect the kind of exercise you’ll be doing. People with arthritis may need to avoid some types of activity, the Go4Life experts say, especially when joints are swollen or inflamed. Diabestics might have to adjust meal plans, daily schedules or medication because they are exercising. Before your visit, it’s helpful to learn about the different types of exercise so you’ll better understand why your physician is telling you to do one kind of exercise and avoid another. For detailed information from the National Institutes of Health on various kinds of exercises, click these links: endurance exercises, strength exercises, balance exercises, and flexibility exercises. Finally, ask your doctor whether you should exercise every day, and how long each of your sessions should be. Once you’ve started your approved exercise program, experts universally recommend that you stay hydrated throughout your routine. Wear comfortable shoes so you reduce your risk of falling and use all necessary safety gear such as reflective vests. The Journal of the American Medical Association (JAMA) also advises that you avoid exercising in very cold or very hot temperatures. In summer, you might want to exercise very early in the morning, before it gets hot. And although “no pain, no gain” has been a fitness motto for a long time, it’s not a good one. Pain is a signal that you need to stop. 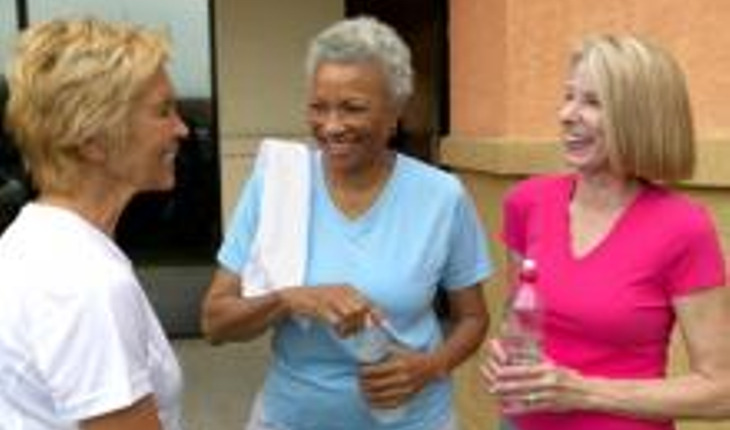 Medline Plus, a division of the National Institutes of Health, has a comprehensive section on senior exercise, including up-to-date study results; click here to learn more.